This is from Tony Grego next door in Indiana... a loan officer. I remember a class where a Central Ohio lender said "The appraiser does not care about your granite counter tops...." I about fell off my chair. Of course the buyer is buying your house because of your granite counter tops. Thanks to Tony for allowing his post to be Re-Blogged. Do you feel that pricing a home is a little like throwing darts these days? Sometimes you hit, most times you miss? "I just replaced the carpets." "I just repainted the walls." "I just had the bathroom toilet fixed." "I had my furnace replaced last year." Realtors work very hard with comparables, pictures and stats to help support the price. I'm not saying that these upgrades are not important. They just don't really add value. They add eye and curb appeal to help a potential client say yes to the listing. What goes into a Lender's Appraisal? Most homes are financed. So these appraisal standards are important when you price. Remember we are in a Lender's Market. Nothing will turn a buyer off more than working hard on a price agreement only to find out the appraisal comes in short. 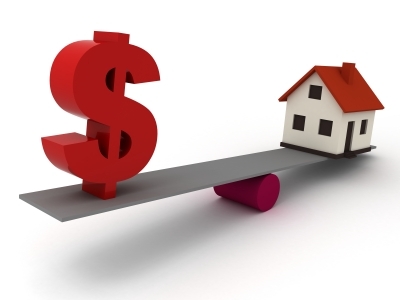 So to best serve our clients remember that most of the weight for your pricing strategy must be Lender comps. "Bankers with vision, helping people with dreams!"